This weapons class will include training in knife, escrima, tonfa, sword and staff. It will begin with basics of offensive and defensive movement. You must be at least 16 years old to participate. Private lessons are available upon request for $30/hour. 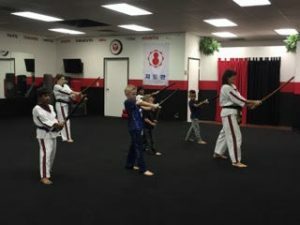 Karsten has over 30 years of martial arts training and 20 years of teaching experience. His family has a 15 generation history of training in various hybrid martial art forms and weapons.